Horseracing is leading the field when it comes to integrity and fighting corruption in almost all sports world-wide, but there is no room for complacency and, in an ever-changing technological landscape, international cooperation must be the way forward. 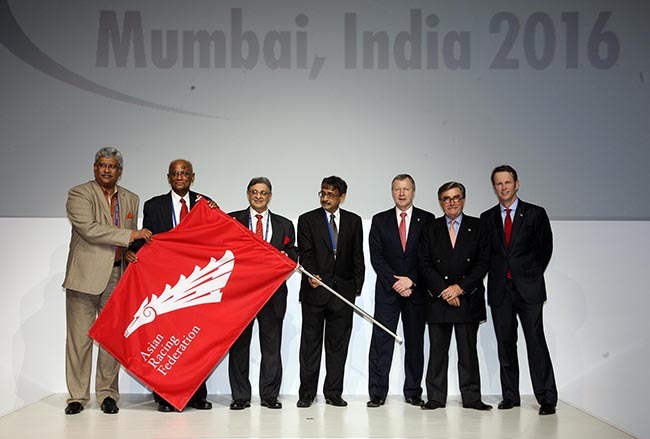 That was the message from the 35th Asian Racing Conference this morning when a panel of experts delivered presentations in a plenary session titled: ‘Sport Integrity: racing as the frontrunner’. Panel speaker Mark Warby QC from the UK shares his views and opinion about racing integrity in the session. 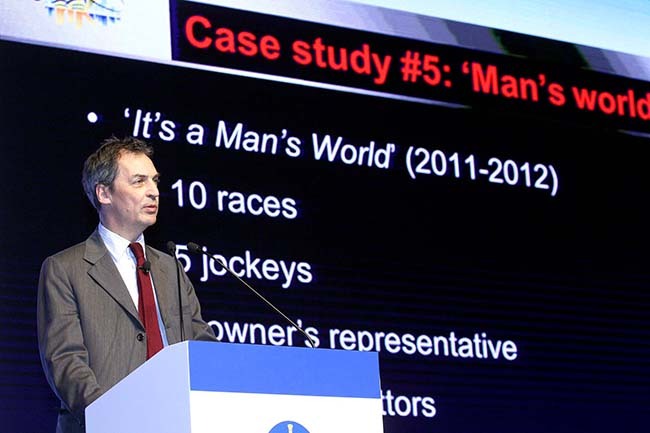 Mark Warby QC, one of the strategists behind the British Horseracing Authority (BHA)’s approach to tackling race fixing and misuse of inside information over the past two decades, gave examples of the cases he has been involved in and shared some key findings based on his experiences, which have included successfully defending the BHA’s stance in judicial reviews and court cases. Corruption in sport is a growing and increasingly problematic phenomenon and he pinpointed the three main driving forces as: the amount of money there is in sports betting; the increased number of betting operators, particularly betting exchanges; and globalisation. Nick McKenzie, a multi award-winning investigative journalist with Australian newspaper, The Age, echoed Mr Warby’s comments and suggested that an equivalent of the World Anti-Doping Agency, an international anti-corruption taskforce, might be considered to police sports’ betting. Mr McKenzie said: “The nature of betting is that it is worldwide now. The key challenge for sport is hardening the environment and undertaking much greater scrutiny. It is much smarter for sports to get on the front foot and deal with corruption in a public fashion. In his address, Justice Mukul Mudgal of India, shared insights gleaned from his experiences that include last year’s investigation into fraud in Indian cricket. Also speaking at the session were Patrick Jay, Director of Trading at the Hong Kong Jockey Club, who highlighted suspicious betting patterns as being the best way of detecting corruption in soccer.